Crossovers are extremely popular in today’s market, so if you’re looking for the perfect crossover vehicle to fit your lifestyle you may find that you are in over your head with choices. Well not to worry, because we’re here to make the decision easier for you. If you’re looking for a great crossover that is stylish and offers high performance, and not to mention comes from a great manufacturer, then look no further than the 2016 Mitsubishi Outlander. This gorgeous vehicle is sure to turn heads as you drive past all of your neighbors and friends. If you’re ready to be the envy of everyone on your block, then get on over to Fayetteville Mitsubishi located in Fayetteville, NC. If you’re a driver in Fayetteville, Fort Bragg, Hope Mills, Raleigh, Wilson, or Newton Grove, our sales professionals would be more than happy to assist you. Bring your questions and be ready for our team to offer you a great deal! Mitsubishi knows that drivers may be looking for different things when it comes to finding their next crossover, which is why they offer four stellar trims for the 2016 Outlander. The trims include the ES/ES S-AWC, SE/SE S-AWC, SEL/S-AWC, and the GT S-AWC. The ES has a starting MSRP of $22,995 and comes equipped with 18-inch two-tone alloy wheels. The SE has a starting MSRP of $23,995 and comes with 18 x 7.0 aluminum alloy wheels. The SEL has a starting MSRP of $24,995 and comes standard with 18 x 7.0 aluminum alloy wheels. Last but definitely not least, the GT S-AWC has a starting MSRP of $30,995 and also rocks 18 x 7.0 aluminum alloy wheels. With plenty of options when it comes to trims, there’s no doubt you’ll find just what you are in search of. Moving along to the engine we know you’ll be pleased with the two engine options that are available for the 2016 Mitsubishi Outlander. The 2.4L MIVEC SOHC 16-valve Inline 4-cylinder comes standard on the ES/ES S-AWC, SE/SE S-AWC, and the SEL/S-AW. This engine gets up to 166 horsepower and 162 lb/ft of torque. It’s paired with a Continuously Variable Transmission (CVT) for all trims. In addition, if you choose a trim with S-AWC, this stands for Super All-Wheel Control. When it comes to fuel economy, the ES/ES S-AWC, SE/SE S-AWC, and SEL/S-AW all have an EPA-estimated 25 city mpg and 31 highway mpg. The GT S-WAC, on the other hand, gets its very own, slightly more powerful engine. It comes with a 3.0L MIVEC SOHC 24-valve V6 that gets an impressive 224 horsepower and 215 lb/ft of torque. It comes paired with a SPORTRONIC™ 6-speed automatic transmission and also has Super All-Wheel Control. In terms of fuel efficiency, this trim gets an EPA-estimated 20 city mpg and 27 highway mpg. With some awesome engines and good fuel economy, you can’t go wrong when you choose the 2016 Mitsubishi Outlander! Ready for some good news? 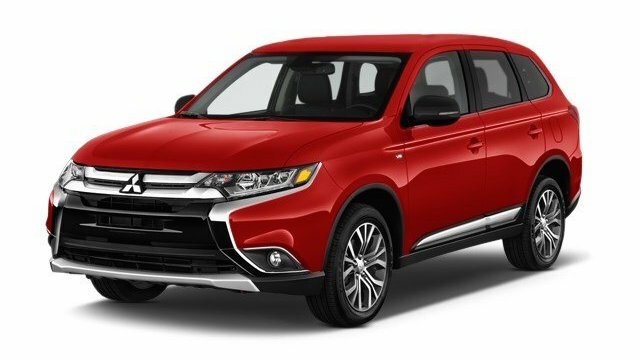 Great because here it is - Mitsubishi knows that vehicle safety is a top priority for many drivers, especially ones that will be carrying around plenty of passengers, as they most likely will be with the seven-passenger 2016 Mitsubishi Outlander. You can never have too much peace of mind when it comes to safety, so you’ll be glad to know that the 2016 Outlander offers such a wide array of features. Some of the safety features that you’ll find in the 2016 Outlander include Hill Start Assist, Traction Control Logic, Active Stability Control, 7 standard airbags including drivers knee airbag, tire pressure monitoring system, anti-theft engine immobilizer, front pedestrian impact crumple zones, as well as other features to help keep you and your passengers safe. The 2016 Mitsubishi Outlander had been totally redesigned inside and out, and we’re eager to show you all the great things packed inside of this all-new vehicle. Visit Fayetteville Mitsubishi today, serving drivers from Fort Bragg, Hope Mills, Raleigh, Wilson, and Newton Grove, NC.